In this world of internet where we are running with the smartphones, everything is at hand, we can access the search engines and all the info we want to attain just by tiptoeing on the gadget’s screen. For the designers, and all the computer/laptop users, a proper sitting is very important in order to use laptop at home. So I thought to give you ideas that what portable trays can be brought in order to have a comfy seating and contented working all day long. 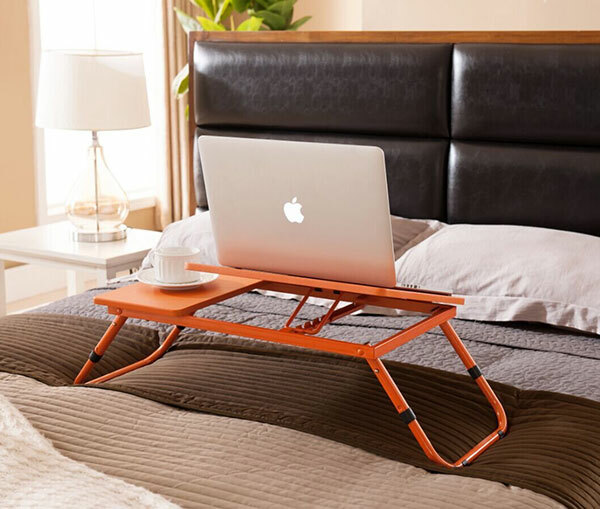 Here I have 10 best collection of portable notebook / laptop stand tray for bed. The Slate 2.0 Apple laptop stand is amazing that comes with dock for our phones and mini tablets. 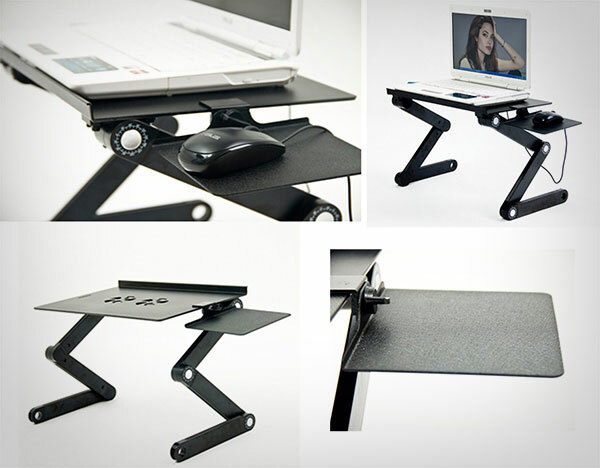 The dock comprises of a cable slot, it for sure is comfortable to use on bed for healthy posture. The mouse pad comes on the right and the laptop is positioned in a proper way facing us. 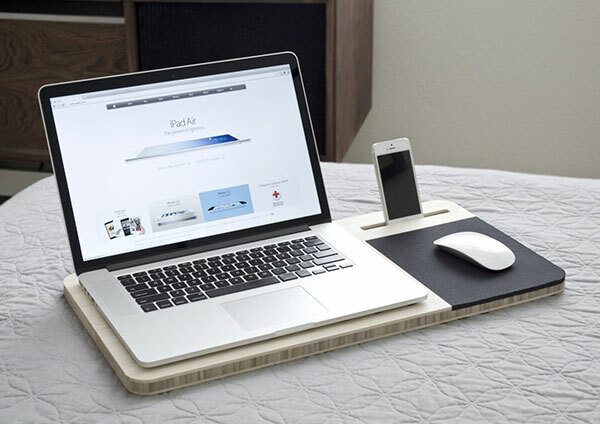 The Hover X+ stand is made of premium bamboo. It is feather light without exaggeration, Hover X+ is robust, and it will engross the temperature from your laptop. There is easy air ventilation and a thick mouse pad is installed too. It looks stunning in appearance so for those who are looking for something sleek, this tray is a good option. 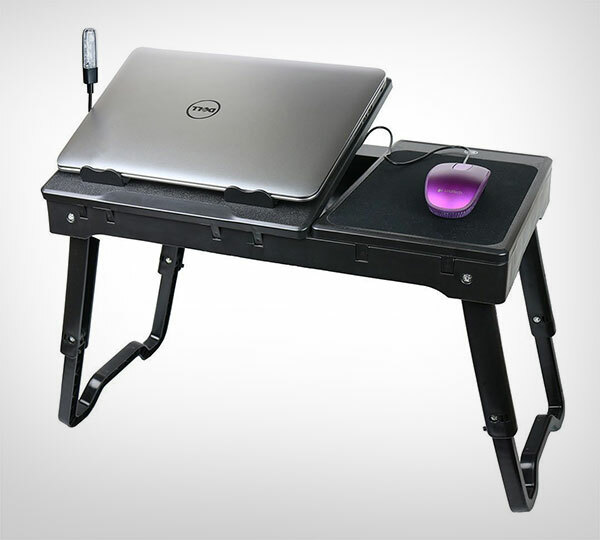 If you are supposed to go out and wanting for yourself a folding desk for your personal laptop that you can use freely then this folding laptop stand up desk is the best option, it is super lightweight and portable just like you want. The table top is done in three different colors with metal legs. 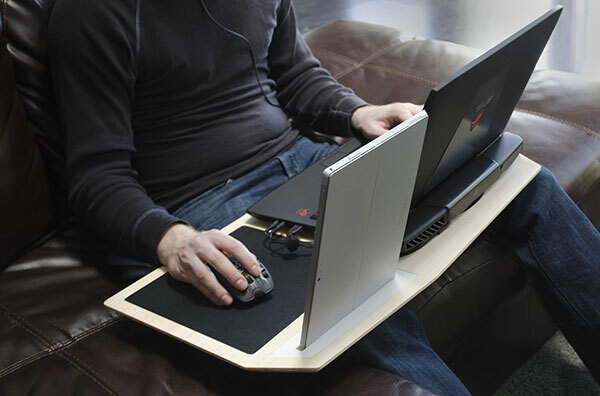 This portable computer desk tray for bed and sofa is made by aluminum alloy that is ultra-light, this tray comes with silent built-in fans that cools down the laptop and it is portable too. 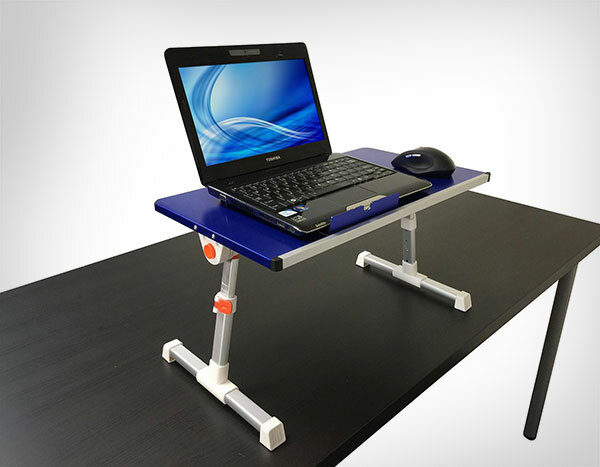 Sometimes by using the laptop continuously you eventually end up heating your laptop so this table stand has internal cooling fan that chills down your laptop and it does not halt or heat up, this table stand is slim, frivolous and totally easy to carry around. 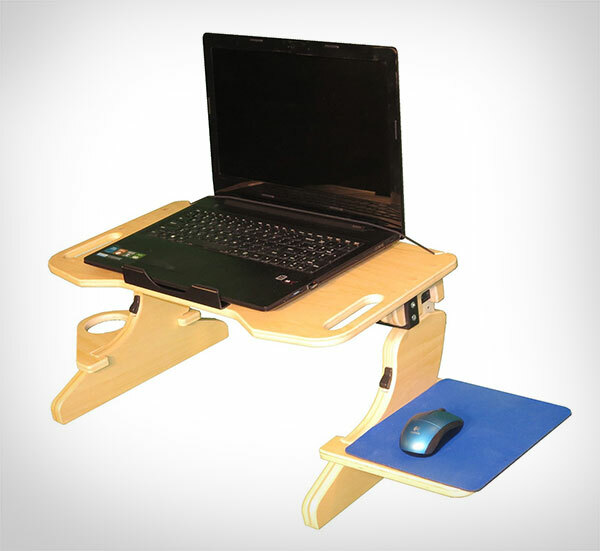 This laptop desk is made by 100% natural bamboo, it is easy and comfy to use for surfing the Internet, eating food, coloring, reading, doing homework on the bed, sofa, recliner, floor, car, etc. This one is my personal favorite that is totally adjustable, you can go about 360 degree rotate, the arm stretch & fold is totally reliable, totally a best stand for bedside/floor or anywhere you want it to be placed. 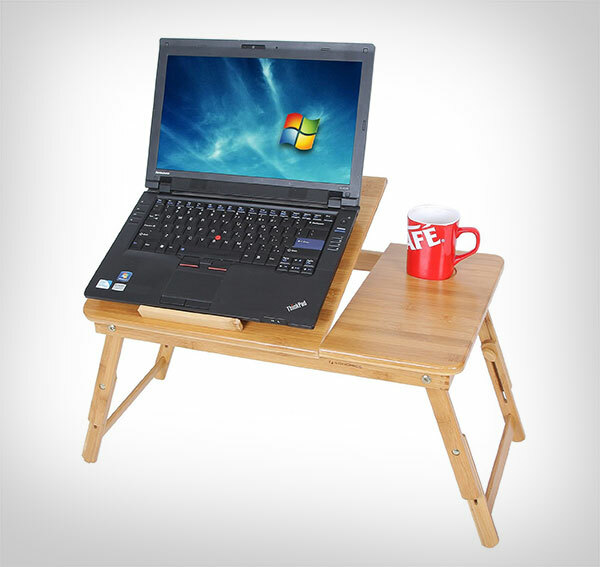 It has the durability to carry all laptop up to 15.6 inch, height adjustable (low 310mm: 12.2 inch – 1020mm,:40.16 inch). Isn’t it a good option to go about? 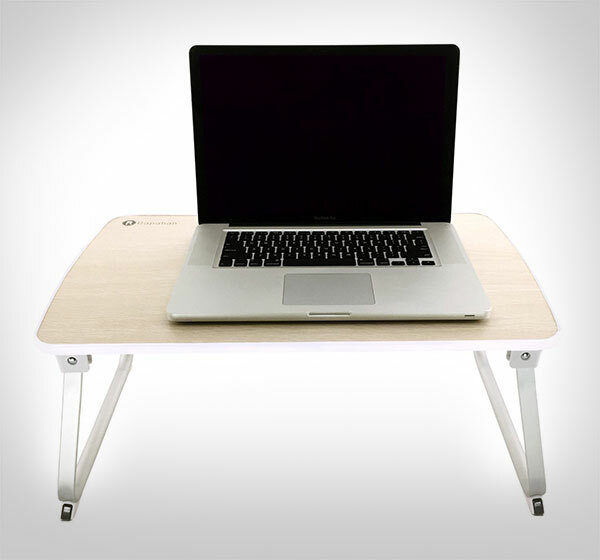 This laptop desk has a stunning wood look tabletop with high strength Aluminum legs, it is lightweight, having portable design that is easy to clean. It is simpler and looks beautiful too. 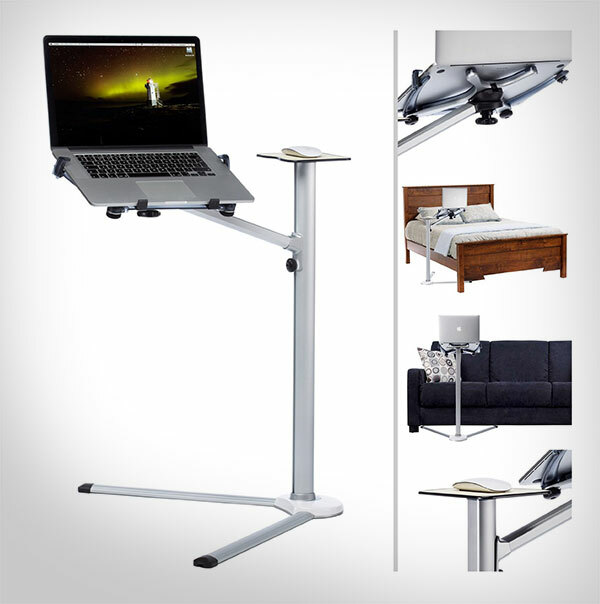 This portable adjustable desk laptop can be placed at different angles to suit any type of body posture, use it freely even when you are laid back like a couch potato. You just need to hold the button on the leg, change the position, and let go the button to lock it in place. It is certainly a good option for all sizes of laptop and tablets. 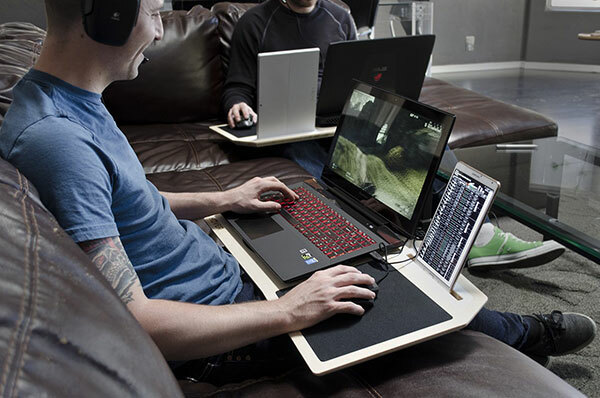 I hope now you have pretty cooler ideas about laptop tables/trays that can easily be purchased right from the links mentioned below each of the picture.